The primary purpose of this facility was to separate the day-to-day operation of the course from its teaching and team functions. The design scheme evolved into an edifice which suggests a "Tempieto" or "little temple" to Golf, reflecting the sports enthusiast's reverence for the game. Various site issues also influenced the making of the Golf Center. 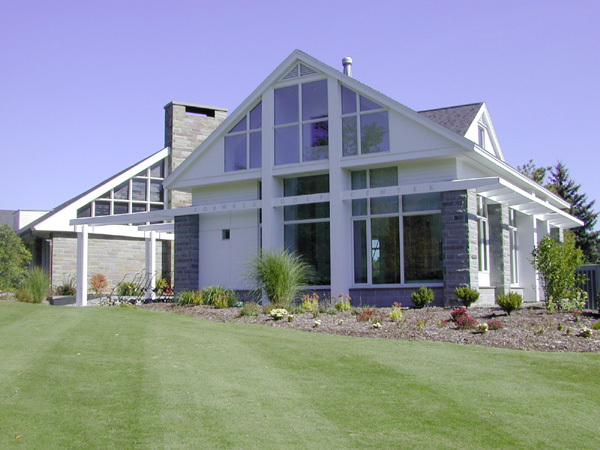 Large amounts of glass provide views to both the first and tenth tees. Also, stone piers and a gabled roof echo the architecture of the existing building. The 1200 s.f. 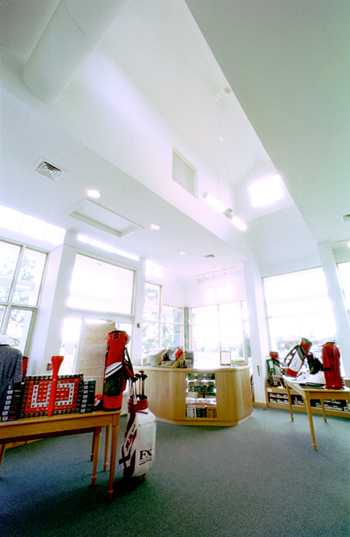 golf pro-shop with its attached trellis provides an attractive entry to the golf complex.